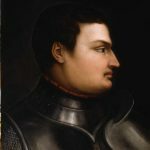 Giovanni is maybe the most used name in the Medici family, and if you look at a Medici family tree you’ll see so many Giovanni de Medici to get immediately confused. I already wrote similar articles for Cosimo and Lorenzo. The question today is: Giovanni de Medici who? Read on and pick the right one. 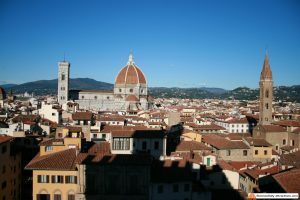 Giovanni de Medici was son of Lorenzo the Magnificent; when he was born (same year as Michelangelo), Florence Italy Renaissance was reaching his highest points. 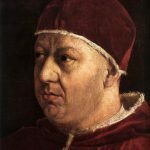 The office of Cardinal was literally bought by his father Lorenzo. 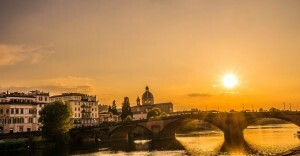 He was just 19 in 1494 when his family was banished from Florence, and it was thanks to him and his ability to deal with Pope Julius II if the Medici came back in 1512. 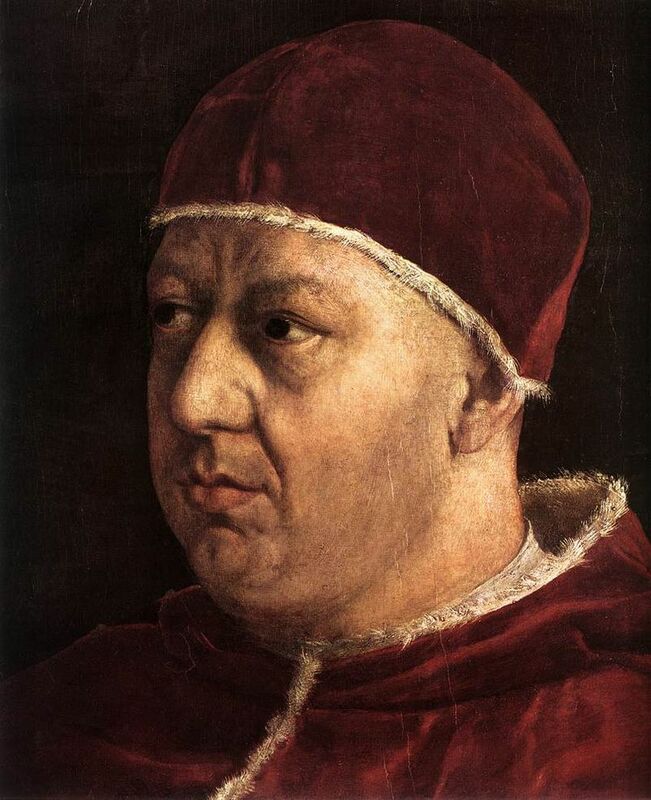 His power greatly increased with the election as Pope Leo X in 1513. The greatest artists of the time worked for Leo X, including Raphael (click the portrait to enlarge) and Michelangelo (Sagrestia Nuova in San Lorenzo, Laurentian Library). Giovanni di Bicci is considered the ancestor of the Medici family. 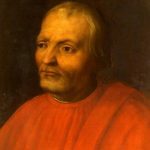 He was the founder of the Medici Bank, a great businessman who raised the family from yet another company of merchants to one of the largest multinational banks in Florence. 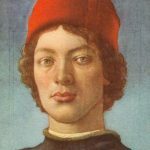 Father of Cosimo the Elder and Lorenzo the Elder, Giovanni di Bicci de Medici was also the very first Medici to be a patron, sponsoring Brunelleschi in Building the Spedale degli Innocenti and the Sagrestia Vecchia in San Lorenzo. Read more about the life of Giovanni di Bicci. 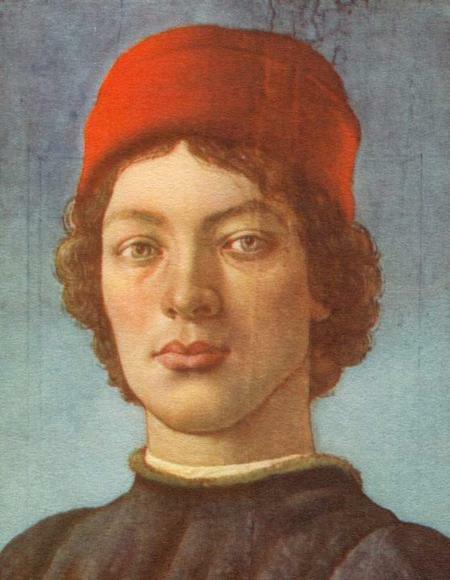 Giovanni de Medici (1421-1463), favorite son of Cosimo the Elder who didn’t think his first-born Piero was appropriate to receive the responsibility to lead the family. Unfortunately Giovanni died even before his own father. 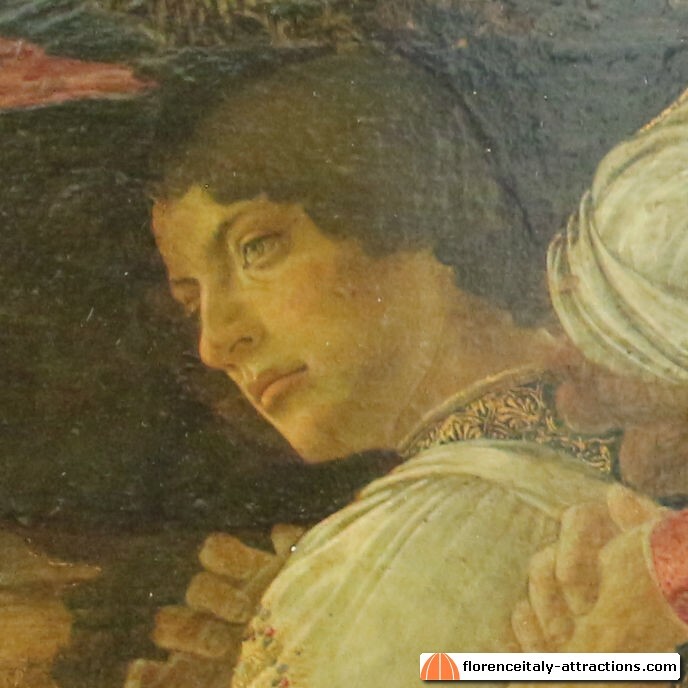 He’s portrayed by Botticelli in his famous Adoration of the Magi. 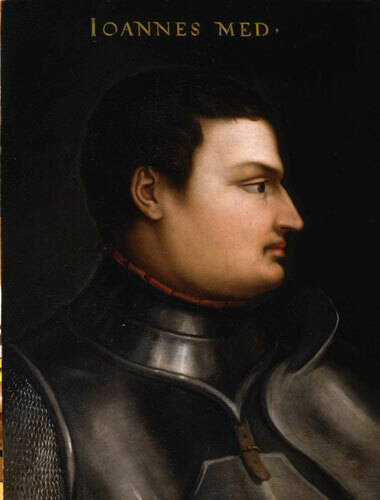 Giovanni il Popolano (1467-1498), grand-son of Lorenzo the Elder and Grand-father of Cosimo I Grand Duke of Tuscany. He and his brother were first protected by Lorenzo the Magnificent, then they became hostile for economical reasons. Giovanni was against his same family when the Medici were banished in 1494. 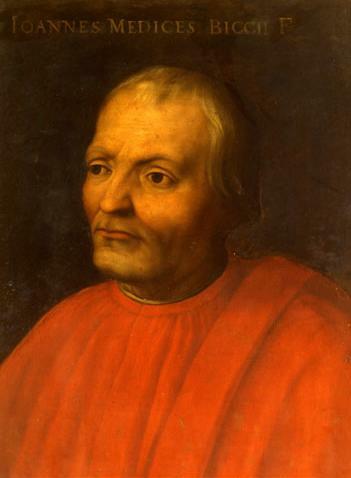 Giovanni dalle Bande Nere (1498-1526), actually baptized Ludovico but renamed Giovanni after his father, Giovanni il Popolano, died. He was father of Cosimo I Grand Duke of Tuscany. Giovanni dalle Bande Nere had a military career, fighting mainly in the Papal Army as a Captain. 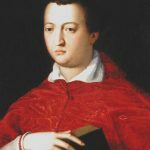 He died fighting at just 27, and Pope Clement VII (of the Medici family) might have had some responsibility (on purpose or not, we don’t know). Giovanni de Medici Cardinal (1543-1562), son of Cosimo I Grand Duke of Tuscany, had a career in the Catholic church as was the tradition for many second-born of aristocratic families. 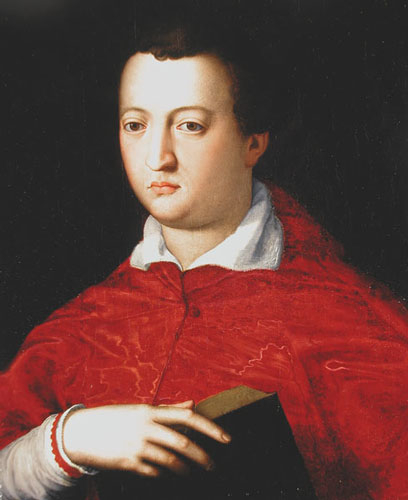 He’s been portraited twice by Agnolo Bronzino, as a children and then as a Cardinal. He died at just 18 from malaria. 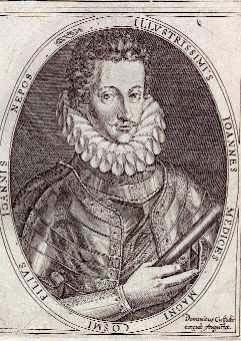 Don Giovanni de Medici (1567-1621), illegitimate son of Cosimo I Grand Duke of Tuscany, had a military career and later became the Florentine ambassador in Spain. He also was a painter and architect and participated to the design of the Medici Chapel. 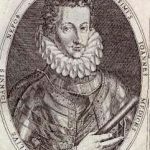 Similar articles on Giuliano de Medici, Piero de Medici, Ferdinando de Medici, Francesco de Medici.